The approach of the philosophy of technology is bound as part of a broader philosophy of praxis, which includes the experimental-empirical tradition in the philosophy of science, Thomism, Marxism, phenomenological and existentialist approaches, and various pragmatic approaches. 'Praxis' represents practical activity, from dealing with the phenomenal (material) we gain knowledge of the noumenal (ideal). The truth lies in results of practice, and the practice of people is conscious activity in the world. Praxis combines empiricist and rationalist contemplation or sense-data experience by performing both simultaneously, through the process of practical transformation of the world. It the technology of the subject for revealing the objective. It is from praxis that one can elaborate a distinction between tools, techniques, and technology. A tool is a non-conscious instrument which, if it has any animation at all, follows a pre-programmed process as embodied and frozen labour. A technique is a standardised process with the opportunity for conscious reflection that is typically applied with a tool (a technique can be tool-free, such as in various athletics or martial arts maneuvers). Technical knowledge is the "know how" (rather than the "know what") of using a technique with a tool. 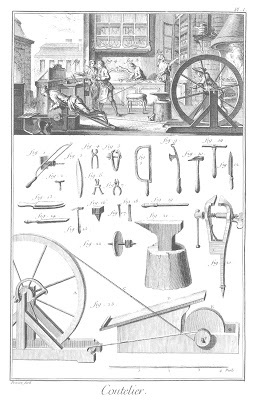 A technology is a creation and explanation (see definition) which comes from the application of conscious techniques to non-conscious tools. The use of technology has particular relationship enframings between the subject, the technology, and the world . Technology is defined whether it is an "embodiment" technology, "hermeneutic", "alterity", or "background". With embodiment technologies, the technology acts as an 'exosomatic organ'. In a hermeneutic relationship, the technology belongs more to the world than to the subject, with signs and traces received. In an alterity relationship, the technology acts as a discrete mediator the primary importance rests with the relationship with the technology, rather than the appearance of the technology. In background relationships, the technology provides a background relationship where the technology encapsulates the environment in which intentionality occurs . The phenomenological-technical analytical approach also includes "horizonal instances", where there is a breakdown in the intentionality relationship, as technology ranges from levels of transparency to opacity. For example, cyborg transparency with embodiment technics, referentiality breakdown with hermeneutic, boundary breakdown with alterity, and the virtual reality in background. A criticism of the phenomenological-technical  approach is that it does not review the semiotic (technology as a sign) or unconscious (technology as an unconscious expression). From the semiotic perspective, the tool-sign's signification is as interpretant (embodiment), sign (hermeneutic), other (alterity), or field (background), and the trope is metonymy (embodiment), synecdoche (hermeneutic), metaphor (alterity), narrative (background). The psychoanalytic approaches include process and neurotic tendencies, which are sense-projection and identification (embodiment), language-projection and paranoid-epistemophilia (hermeneutic), projection of self and narcissism (alterity), mastery and delusion (background). A general statement of information and communications technology appears in Shannon  that illustrates a technic analytical approach through signal transmissions between sender and receiver and the calculation of signal-to-noise ratios and correction. The expression of communication for the generation of mutual understanding and shared symbolic values over a communications medium can also be expressed in a similar manner . Since the beginning of modern sociology (Saint-Simon, Comte) there have been debates on whether human society and behaviour is naturalistic. Empirical sociology has shown correlations between social categories and even the most individualistic of behaviour (e.g., Durkheim on suicide). A logical elaboration from this positivist approach to social behaviour is evident in sub-disciplines as diverse as criminology and marketing. Contemporary studies (e.g., Alex Pentland ) in "big data" analysis often highlight unexpected correlations in behaviour. If humans are entirely positivistic in their behaviour then social engineering and therefore social technology should also be possible. Soviet economists such as Preobrazhensky  were advocates of such engineering, at least in theory. A major criticism of social engineering is an argument of the incompleteness of knowledge and the 'double hermeneutic' (Giddens) where social individuals are both the subject and the object of analysis and interpretation. An argument for reflexive social technology as a social system was a matter of debate between the German social theorists Niklas Luhmann and Jurgen Habermas . Even accounting for the systems theory, Habermas argued that there is no technologicalisation for the generation of meaning (the example of communications technology enhances the capacity, but does not generate meaning or understanding per se). Perhaps the most important aspect of technological development is the acceleration of development with punctuated stages of increasingly shorter time-frames . The correlates with increasing specialisation in science and technology. Such developments put increasing stresses on social latency and to social systems, a conflict between "the productive forces of society" and "the existing relations of production" , which can lead to both social revolution or social paralysis and denial. We may wish to consider the technological possibilities of our own coming lifetime which we would find uncomfortable. Whilst this may suggest a tragedy of technology - the remorseless unfolding of a narrative with an endemic flaw - the possibility of communicative systems and communicative action to establish new normative relations between people and with technology remains possible. Whilst this is not guaranteed, it is facilitated by such features as information and communications technology, by a social security system, and by an education system which combines both theoretical and practical tasks with reflexivity. Technology amplifies our moral decisions, both good and bad - which means that the need for conscious, deliberative, and agreed control over technological capabilities becomes increasingly critical.